Cassilly Adams (American, 1843-1921) Civil War era watercolor on paper painting of the navy vessel upon which he was stationed: the U.S.S. Osage. 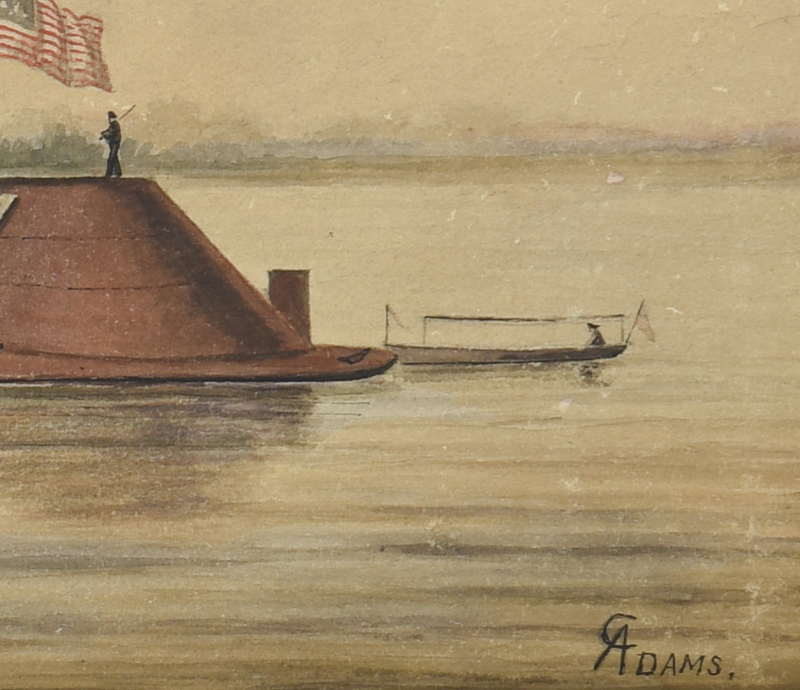 The Osage is depicted patrolling the Mississippi River, with hills and trees in the background. Figures and cannons are visible on deck, along with an American flag. 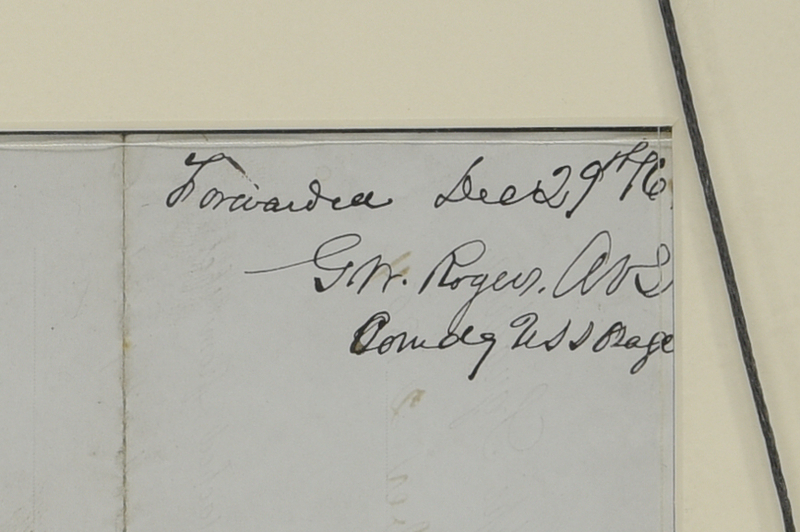 Titled beneath the image and dated 1864. Signed C Adams lower right. Ivory mat and stained molded frame with silver-gilt rabbet edge. 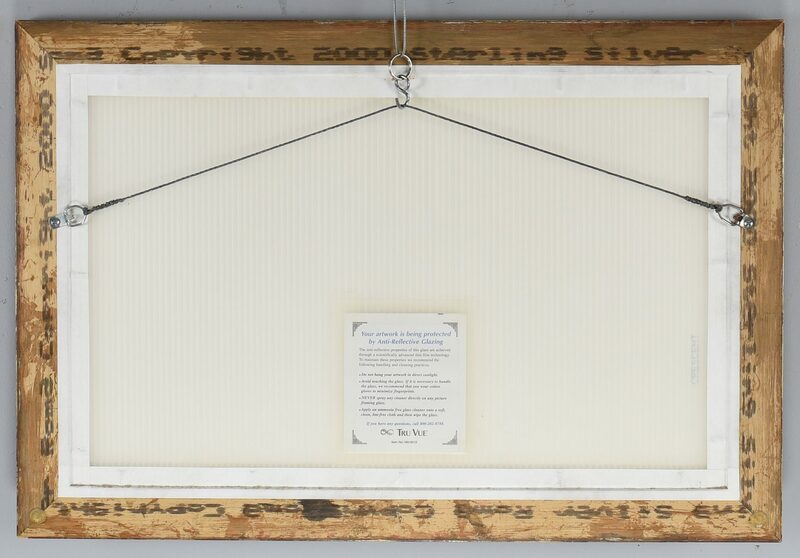 13 3/8" x 5 5/8" sight, 16" x 23" framed. Note: artist and illustrator Cassily Adams (alternate spelling) served on the U.S.S. Osage as an ensign and was wounded at the Battle of Vicksburg. Prior to the war, Adams studied under Thomas S. Noble at the Cincinnati Art School and at the Boston School of Art. After the war, in the 1870s, Adams moved to Missouri where he worked as an artist and an engraver and for a time had a studio with Matt Hastings, a well-known St. Louis artist. He is best known for his post-Civil War paintings of the Old West; this painting is a rare representation of his Civil War experience. 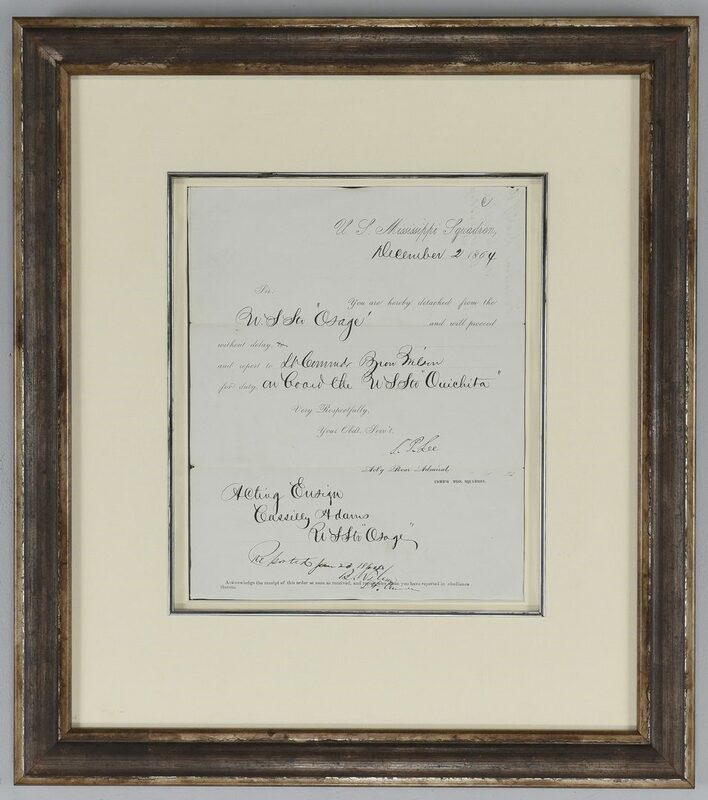 Also included with this painting is a framed Civil War order for G.M. 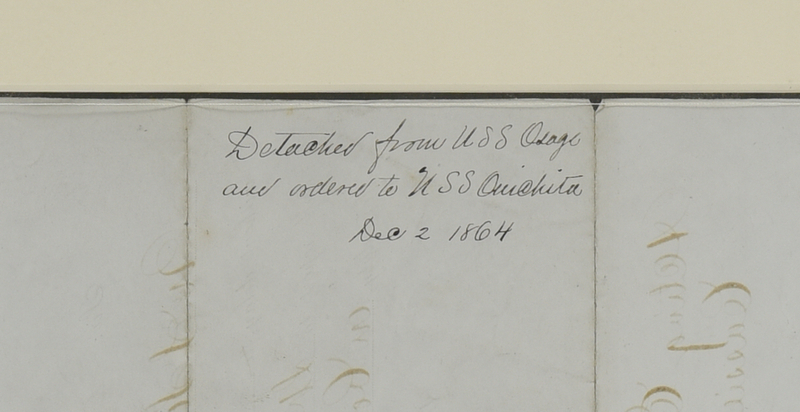 Rogers to detach from the USS Osage and report to the USS Ouichita. 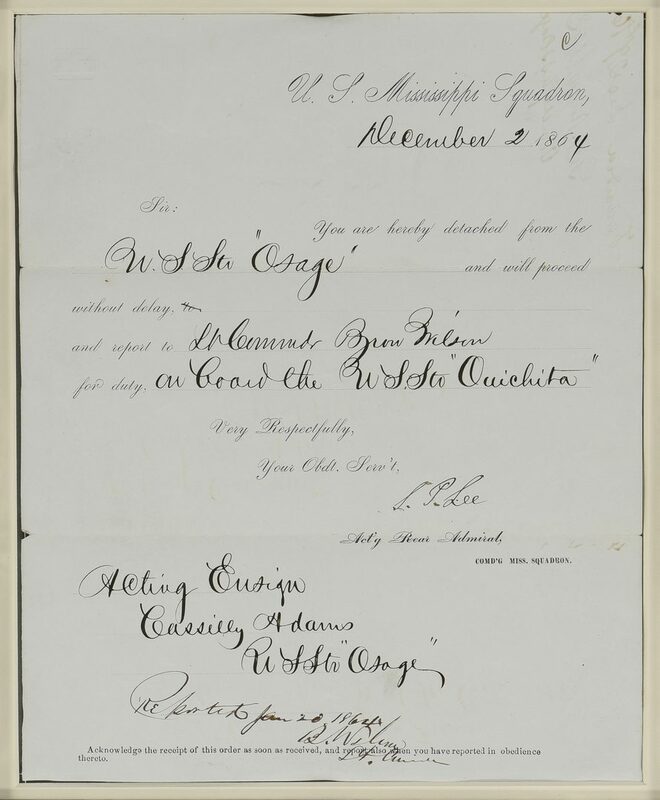 The order is dated Dec. 2, 1864 and signed by Rear Admiral Samuel Phillips Lee, commander of the Mississippi Squadron, and co-signed by Adams as Acting Ensign. Note: "The Osage, a sternwheel single-turret monitor, was the first naval vessel ever to us a periscope to aim a weapon in time of war. This occurred up the Red River at Blair_s Landing in Red River Parish, and resulted in the death of Confederate General Tom Greene and a lot of his men. 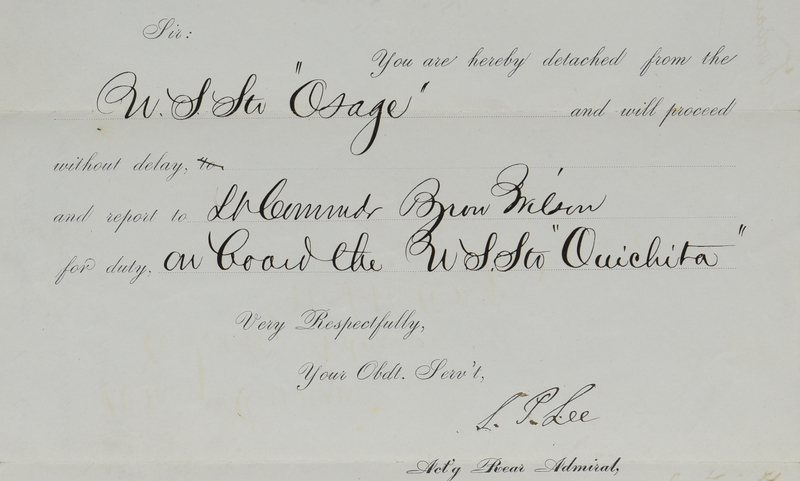 The Osage was 180 feet long by 45 feet wide, and drew 4.5 feet of water. She was armed with two 11-inch smoothbores and one 12-pounder rifle. 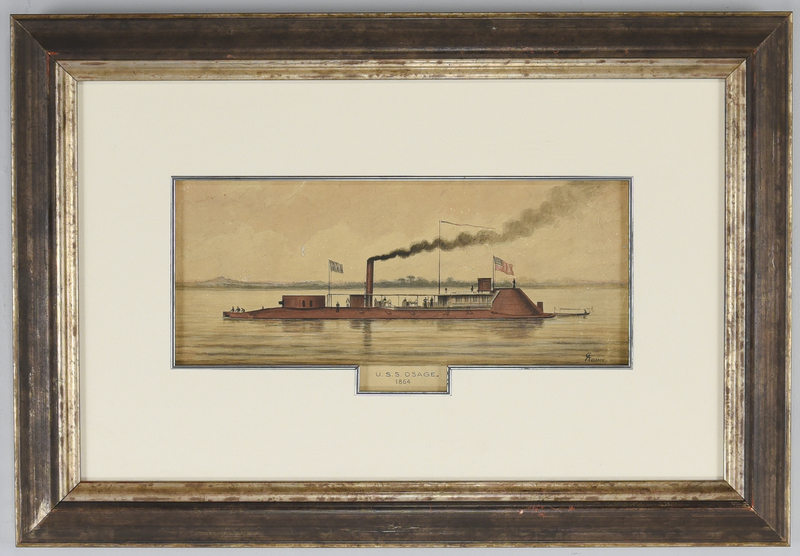 She was sunk by a mine in Alabama late in 1865, but later raised and operated as a merchant vessel after the War." – source: www.fortderussy.org . Provenance: Private Nashville collection, ex-Williams Fine Art. CONDITION: Painting: Overall good condition with even toning. 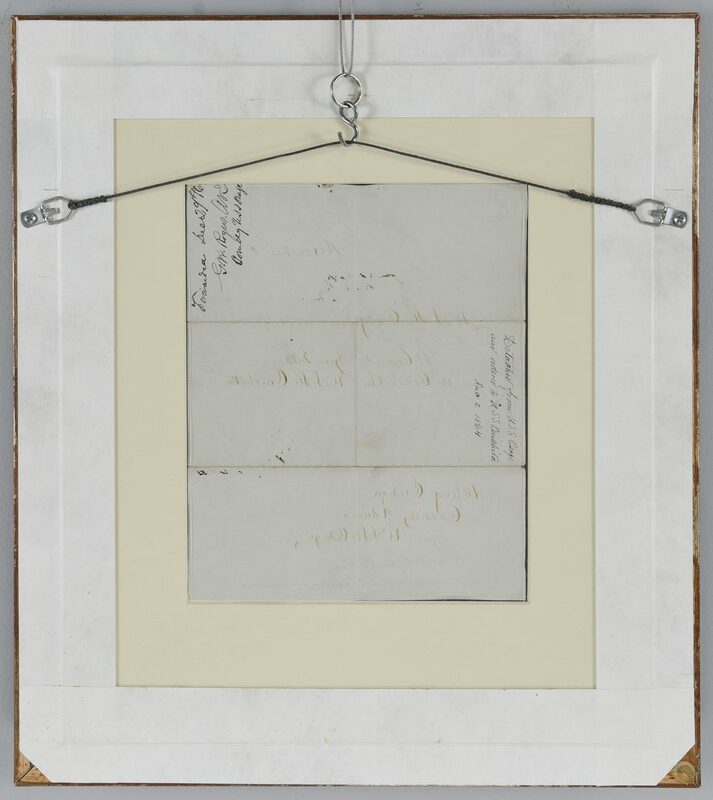 Document: creases and a couple of small losses at fold lines, light toning, framed with double sided glass.